...Don't they have bootcamp or something? Everyone knows the deal - MIT is a constant whirlwind of PSETs, exams, lectures, and the occasional puppy labs. For several of us, there’s so much more on our plates as well - training to become officers in the United States Air Force. If you’re a current MIT student, you may have seen us around campus, dressed up in our Air Battle Uniforms (you know, the green ones) or in our blues (they’re quite spiffy, I know). You probably didn’t spare us much thought besides the usual “Oh, I didn’t know they were ROTC” before moving on with your day, but have you ever wondered - what exactly do we do? While I’m sure you’re dying to know all about of our leadership labs, physical training sessions, and field training preparation throughout the semester - I’ll spare you the details, for now anyways. Instead, I’m here to introduce you to a few of our MIT and Crosstown cadets, and share with you the incredible experiences they’ve all had this past summer. 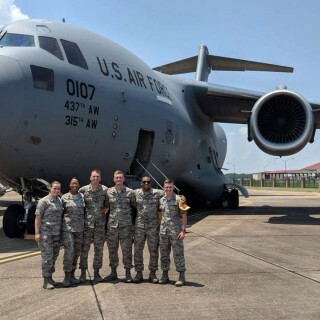 Cadet Karen Camacho ‘20 spent two weeks down at Maxwell Air Force Base, Alabama completing Air Force ROTC Field Training. Field Training is a mandatory program that cadets usually attend the summer after their sophomore year. It is designed to evaluate military leadership and discipline to determine whether our cadets are ready to make the transition into their roles as upperclassmen in the Professional Officer Course (POC). After completing her training, she quickly hopped on a plane to Bishkek, Kyrgyzstan where she spent two months learning Russian as part of an intensive language program called Project GO. 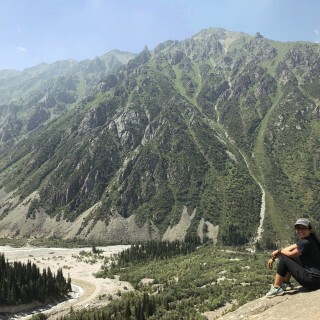 From treacherous hikes (she’s quite clumsy) and horseback riding, to meeting new friends and swimming in beautiful lakes, Cadet Camacho is enjoying her first time in Central Asia. Following that, she’ll be visiting family in Colombia before arriving back on campus in late August as an Associate Advisor. Cadet Jay Laone ‘20 spent two weeks completing his Air Force ROTC Field training before spending the rest of his summer in Shanghai, learning Mandarin through Project GO and experiencing the culture of China. 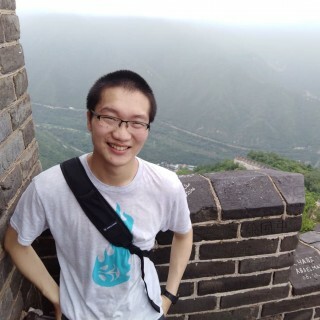 He was able to visit Beijing as part of a cultural excursion to climb the Great Wall, see Tiananmen Square, and walk around the Forbidden City. His favorite parts of this experience were interacting with locals and enjoying the authentic food. Cadet Julia Arnold ‘21 spent her summer working for the Air Force Research Laboratory in the Autonomous Technology Research Center at Wright Patterson Air Force Base in Dayton, Ohio. When she wasn’t working, she spent her time cooking with her family, going on road trips, and boating. 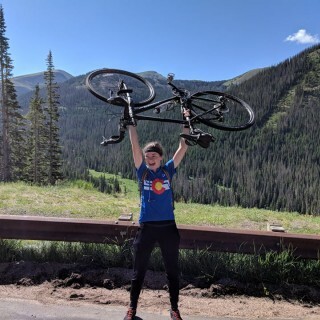 Cadet Delia Stephens ‘21 spent her summer biking across the country, from Washington, D.C. to San Francisco, with seven other MIT students as part of MIT Spokes. Along the way, they hosted workshops about science and engineering in elementary and middle schools in an effort to get kids interested in STEM. In total, they’ll have biked 3500 miles in 71 days and educated over 400 kids nationwide. 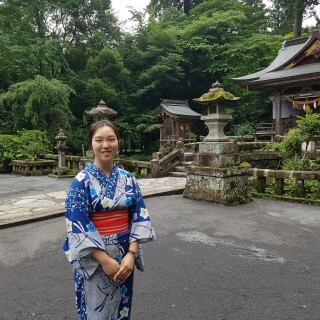 Cadet Lani Lee ‘21 spent 10 weeks completing a Project GO intensive language program in Beppu, Japan. The best parts of her experience were undoubtedly the weekend trips they would take. She went on a visit to the Beppu “Hells” and the Kagoshima Prefecture. Along with this, she had a farm stay in the beautiful countryside of Yufuin and was given the opportunity to visit several high-tech companies. She was able to experience the many aspects of Japan and met many new people all there to learn about Japanese language and culture. Now, she is spending a couple of weeks in Korea with family before heading back to MIT to mentor for Week 1 of DynaMIT, a free STEM summer program for middle school students. Cadet JT McGuire ‘21 spent his time working at Lincoln Labs doing systems analysis on a micro UAV project called Firefly. Along with this, he spent some time hiking, riding road bikes for cancer research, and acquiring his motorcycle license. 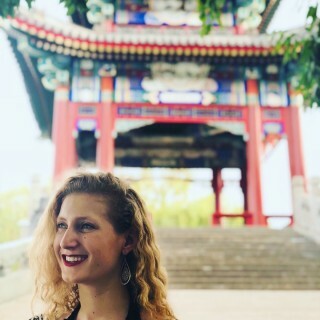 Cadet Marina Hostrop (Wellesley) ‘20 spent her summer in Beijing, China as a media content creation and communications intern at Okhiwi Media on a grant from Elisabeth Luce Moore ‘24 Internships in Asia. After that, she’ll be flying back to the United States to complete her Air Force ROTC Field Training at Maxwell Air Force Base, Alabama. Cadet Peter Hartnett (Harvard) ‘19 (rightmost) spent five weeks at Maxwell Air Force Base as a Cadet Training Assistant (CTA) for Air Force ROTC Field Training. Following that, he attended Expeditionary Skills Training at the Air Force Academy. This program included six days in the field to learn and practice military operations on urban terrain, tactical combat casualty care, dismounted operations, combat arms, integrated base defense, and survival and evasion. After completing the program, he transitioned to cadre and became an instructor on integrated base defense for the next group of students, working with Active Duty Security Forces subject matter experts. Cadet Alexander Knoedler ‘18 graduated this past spring but is continuing on as a fifth year at MIT in order to complete his masters. 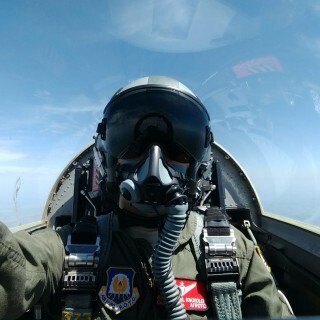 This summer, Cadet Knoedler spent some time at Sheppard Air Force Base in Texas where he got to experience an active duty training base and fly T-38s with an Intro to Fighter Fundamentals Squadron. Following that, he spent 38 days as a Cadet Training Assistant (CTA) at Maxwell Air Force Base. As a CTA, Cadet Knoedler was responsible for training and evaluating over 100 cadets in their transition to upperclassmen in the Air Force ROTC program. Cadet Scott Padron ‘20 spent two weeks completing his Air Force ROTC Field training before devoting his summer to interning with an aero-acoustics company in Auckland, New Zealand. His work was focused on reducing drone rotor noise through new blade designs and shrouds. He also had the opportunity to fly a high performance glider on the South Island for a week through Youth Glide New Zealand. 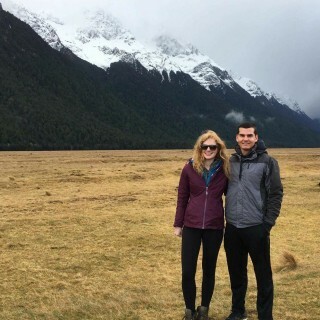 In addition to this, he got to spend a few days hiking around Queenstown and Fiordland. As you can see, while our semesters are quite intense and standardized when it comes to our Air Force ROTC training, our summers are anything but. I hope you’ve enjoyed this glimpse into the summer lives of cadets from Detachment 365 and if you’re itching to know more, feel free to follow us on instagram @mitafrotc, like our Facebook page “MIT Air Force ROTC Det 365”, or shoot us an email at afrotc@mit.edu. For more information on Air Force ROTC, visit the official website at https://www.afrotc.com/.